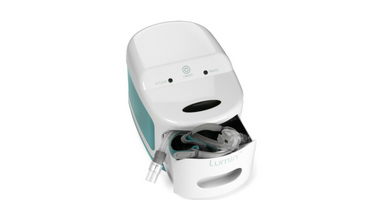 Lumin is the easiest and fastest way to disinfect a CPAP mask and accessories. While the Lumin will sanitize and disinfect from harmful bacteria, it will not remove any physical debris left on items put inside the device. It is recommended to wipe items clean before using the Lumin to ensure the item is thoroughly cleaned.